Dr Mowzer for all your back pain, uneven hip alignment, neck & shoulder pains, pinched nerves. Since I started going to him I've not used another chiropractor! Dr Mowzer is absolutely fabulous. He has treated me on a number of occasions for various issues. Most recently for sciatic nerve pain, which has flared up again during my pregnancy. He is always friendly, knowledgeable and fixes me right up! Really helpful and friendly. Made sure to check and explain everything thoroughly, making my first chiropractor experience pleasant. 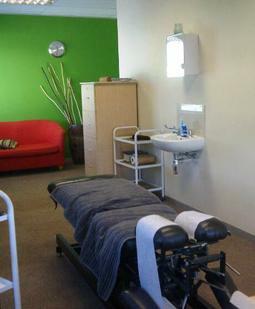 The best chiro I've found since moving to CPT. He is friendly and trustworthy. Highly recommended. ABSOULTELY FANTASTIC. THE RELIEF OF THE PAIN GONE. EXCELLENT PRACTITIONER. WELL DONE DOC MOWZER. ABSOLUTELY FANTASTIC. AT FIRST I DID NOT BELIEVE. NOW A DIFFERENT ATTITUDE. RECOMMENDABLE. Dr Mowzer is excellent. No waiting time and manages to relieve your pain in minutes. Fantastic service! He changes medical aid rates, and awesome private rates. I would strongly recommend him to anyone. Great service with a thorough diagnostic, looking forward to my follow-up appointment. Excellent, on time, professional and effective. Knows what we need, Established relationship. I first went to him 2012/2013? then last 2014, so when I found myself with back pain again end 2017 there was only ONE person I wanted to go to. So I hunted him down until I found out where he had moved to lol even though in pain, but I wouldn't go to anyone else. Sorted out my back & neck and I didn't even explicitly tell him where it pains and why - HE told ME after a couple of prods with his fingers! Great treatment for the sciatic I was experiencing, will be returning to him and referring him to those I know. It gets no better Dr Mowzer is where you go to get satisfactory results, best Chiropractor around. Best Chiropractor in Cape town indeed! Conservative, honest, friendly! I would highly recommend Dr Mowzer. Dr. Mowzer truly cares about his patients, his office staff is fabulous, and he is exceptional at what he does.